What is the Prananadi? Why people do like to "use" it? They are coming lots of questions. Personally, I started to study Prananadi in 2003 and received my Master certificate of the Prananadi Method of natural healing in 2004. Prananadi a Tibatan New Method. The compound word Prananadi comes from the Sanksrit language. Prana = absolute energy, universal strength, nadi = channel, flow, vessel, subtle tubes. The meaning of prananadi is absolute energy channel, universal life strength channel. 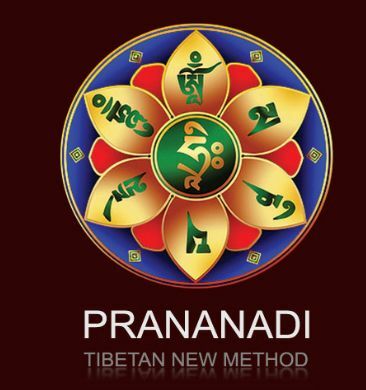 Prananadi comes from Tibet, it has been used by Tibetan monks for thousands of years, this knowledge and healing power was hermetically closed from the Western of the world until the middle of the last century. They did not pass on the full knowledge; they have passed on healing techniques that have been adapted to the spiritual and mental level of European people. Prana is the source of all energy. It involves all the levels of the manifestations of life, it depends on vibration and quality of the prana that has been taken but has not been used. Prana is a complex energy system without it there is no physical body can exist. The prana that affects everything is in a state of constant, continuous and never-ending movement. The effect of Prananadi treatment is the following: it supports life processes, it operates at all levels. It adapts to the individual needs of each human and non-human. Disease of the body can be caused by holding onto negative emotions which block the energy flow trough the body. The use of Prananadi releases blocked energy pathways and re-balances the body. Prananadi supports of the development of the human personality. It has a positive effect of the healing process, relieves pain and helps to cope with fear, anger, fury, depression, worries, and moodiness because of doubts. It can also help to cope with hard physical and psychological load. It triggers creativity and performance. It encourages self-knowledge and helps to adapt to new things and situations more easily. Prananadi is a non-invasive therapy for both men and women and the client remains fully clothed throughout the treatment. Prana is the ancient fountain of all energy. Life and all its manifestation are defined by the vibration and the quality of the Prana (absolute energy) intake and the unused energy. Prana is the complex energy system of the physical body. The all-pervading Prana (life energy) is steadily, constantly moving, vibrating and flowing. Thanks to the flow, Pranas are connected and build up energy centres in the whole universe, in the solar system and everywhere where they are found. It supports the life processes and it has a positive impact at all levels. It is adjusted to all living and non-living beings` requirement. It supports the positive personality development, accelerates the healing processes, relieves pain and helps to overcome fear, anger, rage, depression, anxiety and bad temped due to hesitation. Moreover, it eases the physical and mental pressure and has a positive impact on our attitude towards other people. Last but no least, it improves creativity and performance and encourages self-knowledge and helps to fit it. Written evidences of natural healing methods date back to B.C. 3000. Pránanadi® is not connected to any of the religions, thus everyone can learn and use it or may ask for being treated. Healing Hands is all about helping you achieve total well-being - mind, body and soul - through Reiki and Prananadi.